Looking for a fun family festival weekend staycation? 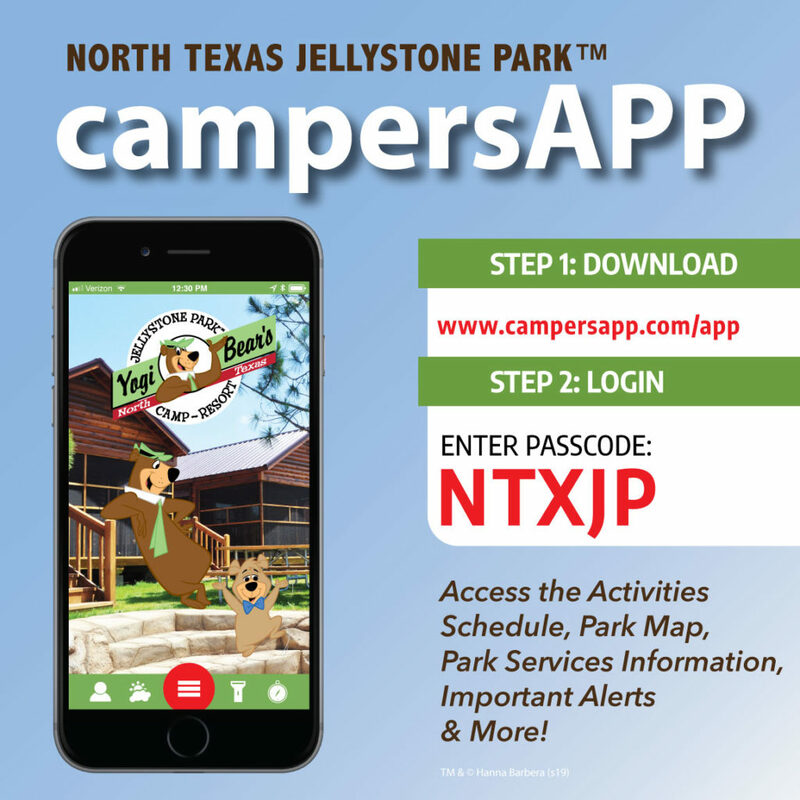 Spend it with us at North Texas Jellystone Park.TM This weekend will have a festival flair with Yogi BearTM & Friends. If you are staying with us on Friday evening you will have the opportunity to have some good ole’ fashioned fun at The Relay for Life of Greater Burleson Area Festival, from 6:00 pm-Midnight. Numerous games, tournaments, food trucks, and more are on the agenda. Bring your lawn chair so you can enjoy the live entertainment and dancing until Midnight. This weekend will be a celebration of life and a great way to spend quality time with your family! • “Hey, Hey, Hey Rides” -Guests of all ages enjoy this adventurous ride through our resort! The ride goes along with the theme of the week.• Arts & Crafts – Make your own souvenir, paint a ceramic, get a glitter tattoo, or, make a tie-dye shirt, just to name a few options. •The Backstreet Patio Family Dance Party Saturday evening from 7:00-9:00 pm. The Pirates’ Cove Water Park is open Saturday Only from Noon – 4:00 pm this week and admission is FREE to campers.